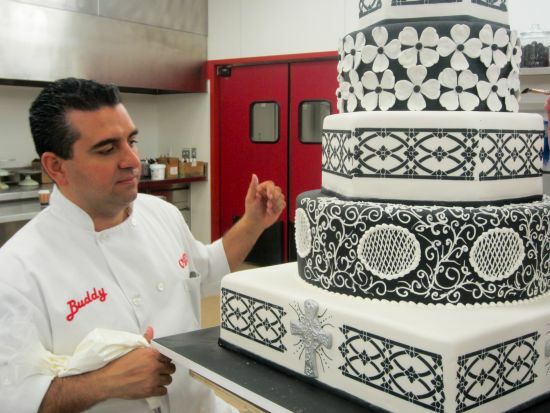 Buddy Valastro will be on a new search for the next rising talent in the baking world and will be mixing it up with 10 aspiring pastry chefs for TLC’s hit competition series, NEXT GREAT BAKER. Premieres on May 5, the series will air every Monday to Friday at 7 PM only on TLC. The eight part series showcases the hidden talents of these pastry chefs who will face off in a series of grueling challenges that will test them mentally, physically, and emotionally. In the end, only one chef will take home the grand title of NEXT GREAT BAKER and whopping $50,000 price money. In each episode, 10 talented pastry chefs will go head to head – for a heart-pounding, adrenaline-pumping, culinary battle to become NEXT GREAT BAKER and get a chance to work with Buddy at Carlo’s Bakery. At the helm of the judges’ table will be critically acclaimed Italian American celebrity chef, entrepreneur, and reality television personality, Buddy Valastro who will mentor the contestant, pushing and testing them on baking and decorating skills. Contestants will be further mediated by two guest judges from Carlo’s Bakery, Mary Sciarrone and Mauro Castano. With 9 hours’ time limit, these bakers are under tremendous pressure to deliver the best. Making cakes in NEXT GREAT BAKER isn’t going to be a piece of cake! Who’s going to outsmart the competition and rise to the top? Catch these and upcoming cake artists on TLC as they attempt to become NEXT GREAT BAKER.